29th September 2018 I was on Orkney thinking how was I going to spend my 6 hours on the Island, how was I going to keep myself entertained, I mean the main island is not particularly big. 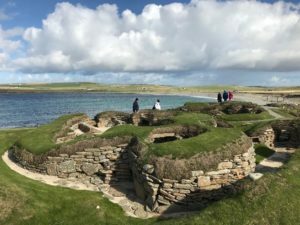 My reason for the visit was to see Skara Brae, to visit, at 5,000 years old, the oldest known Neolithic settlement on the British Isles. I have always been fascinated by the mysticism of Stonehenge, Avebury, and the magic of the Preseli’s from Pentre Ifan, Mynydd Carningli through to the blue stone quarry. The technology the ancient Britons used, why and how they did these things, these weren’t done on a whim, they just didn’t rock up and think this is nice, this will do. These were clearly discussed, planned and very carefully thought about, it was also about available resources. Having arrived at Stormness, to kill some time I headed to the Standing Stones of Stenness, then onto the Ring of Brodgar, for me neither had the magic or feel of other similar features in Wales but the scale was certainly impressive. So with what seemed very little time used I headed off to Skara Brae. I parked up in between the numerous “original” Orkney tour minibuses ferrying what seemed to be an endless supply of American tourists. 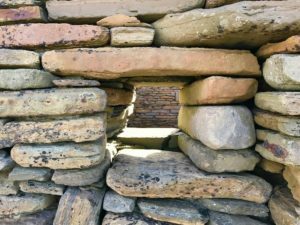 After walking through the museum it was clear this wasn’t just a few stone huts, there were some intricately carved and manufactured items, so off I wondered to the settlement of Skara Brae. So you’re probably reading this thinking what is this? are susdrain about to start a series of “Wish you were here”? 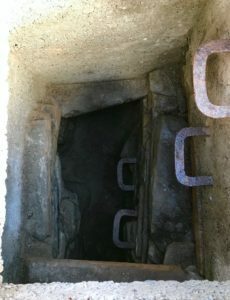 The purpose of this blog is the fact that 5,000 years ago a group of Neolithic Britons were doing what they were doing, they could well have well been having a discussion about the socio-economic pros and cons of closer trading with their European cousins. 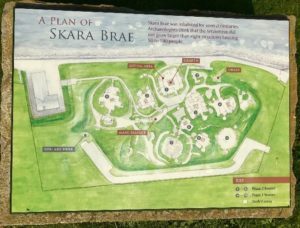 However they decided that Skara Brae was the place to build their settlement, they didn’t just throw a load of stones together over there because they felt like it. This was planned and when you stand there and look at the settlement, it is clear that all the houses are linked by the passageways. This really isn’t a case of just throwing up another hut, they knew their numbers of around 75-85, they knew their available resources, this wasn’t chance. This was very carefully planned. However the critical and most important element of the whole settlement was a very special moment for me. I was talking to one of the official guides at the site and as you do, we started discussing SuDS and drainage. At this point she beckoned to me to follow her, off the path onto the restricted grass area; she lifted a wooden cover and as you will see in the photo below, there is a very clear channel. This channel is a fully functioning drainage system which was constructed prior to the settlement being constructed 5,000 years ago! So 5,000 years ago we knew the importance of drainage, we understood the need for a settlement to be drained, but yet 5,000 years later we just cant seem to get it right. We look at drainage as a bolt on as a necessary evil, its something we have to do but it’s just an afterthought. So how could we get it so right but now with very real problems surrounding growth both in terms of population and development and a changing climate, we get it so very wrong? Our ancestors got it they valued water, there is an area of archaeology which is beginning to believe that drainage was highly valued to the point that it is considered that it was revered due to its importance to the society, but ultimately these Britons understood the social value to get the drainage right as it was and still is critical, through good sound planning, so maybe, just maybe we should consider looking back to look forward?